HEAVY PARADISE, THE PARADISE OF MELODIC ROCK! : Czech band SEBASTIEN announces the fourth official video from their actual album "Act Of Creation"! Czech band SEBASTIEN announces the fourth official video from their actual album "Act Of Creation"! SEBASTIEN introduce a ballad with Czech lyrics for the very first time! A guitar player, Andy Mons, composed the song „V síti štěstí“ for his wife and played this song together with a singer, George Rain, as his Wedding day´s suprise for a bride. The video was created by Tomáš Vít and KRIDEO Production again. SEBASTIEN released also these official videos for their new album – „Winner" ( https://www.youtube.com/watch?v=G9Icnp5Q7Q8 ), a duet with Mayo Petranin (SIGNUM REGIS) with really modern sound, than a power metal ride "Die In Me" (https://www.youtube.com/watch?v=Gz6XrcCrp3s ) with Apollo Papathanasio (FIREWIND) and melodically infectious song "Amy", this song has more than 1 million views on YouTube per less than 3 months! 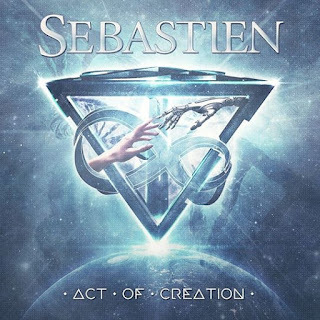 Fans can find the "Act Of Creation" album, as well as 2 older CDs and complette merchandise on the official Sebastien´s e-shop (www.facebook.com/pg/sebastienband/shop).